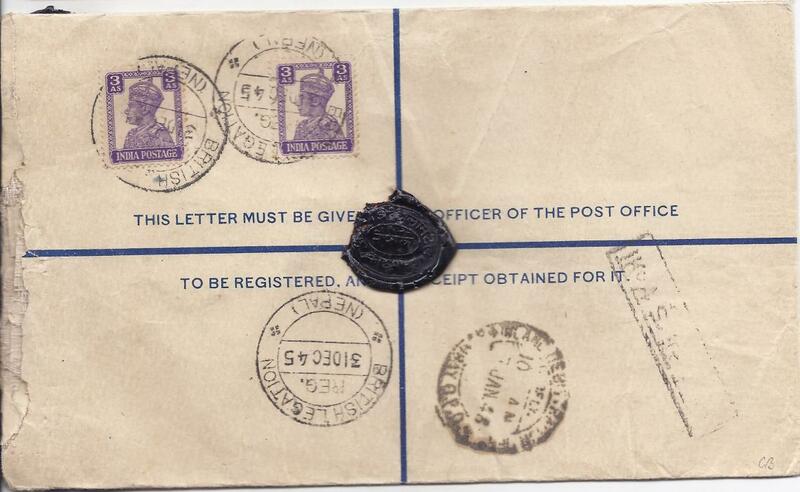 1944 registered cover to Bombay franked on reverse block of six 9ps. 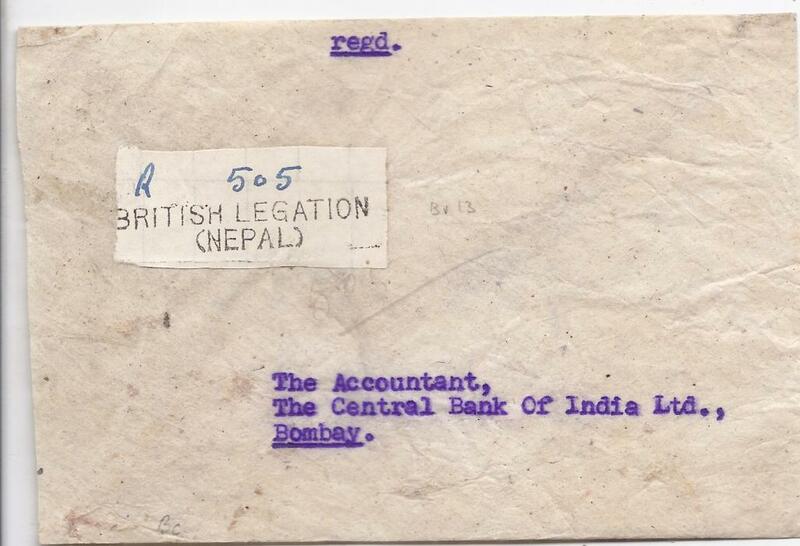 tied by British Legation (Nepal) cds, the front with hand-made registration label. 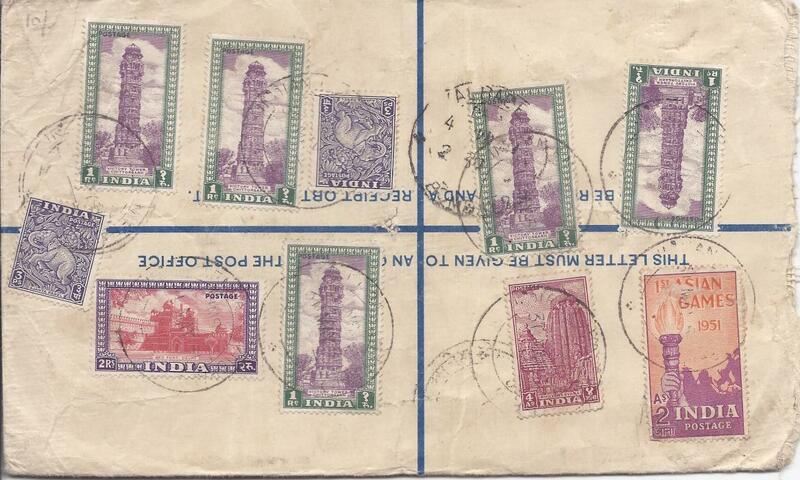 1945 insured registered cover to Patna franked 1a., 1�a (3) & 3a. 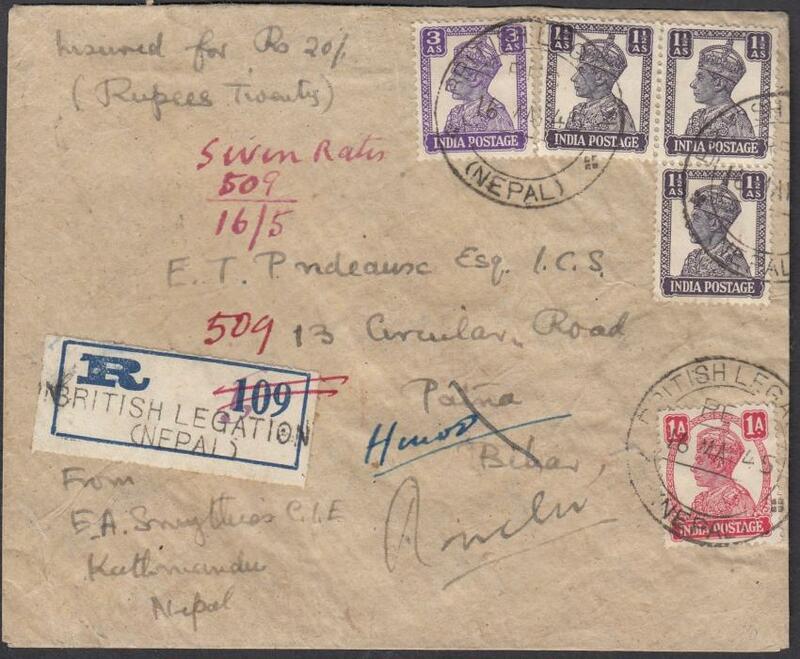 tied "BRITISH LEGATION/(NEPAL)" cds, handstamped registration label with amended number, re-directed on arrival. 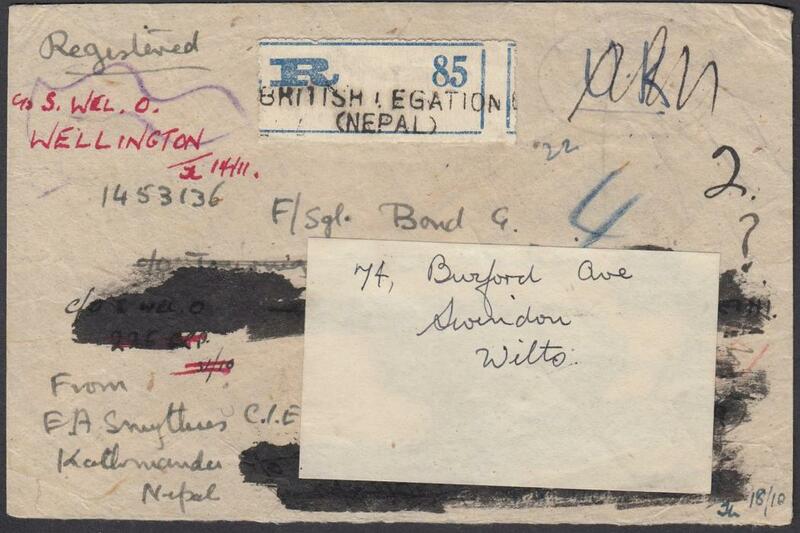 1945 registered envelope to Swindon franked �a. + 4a. 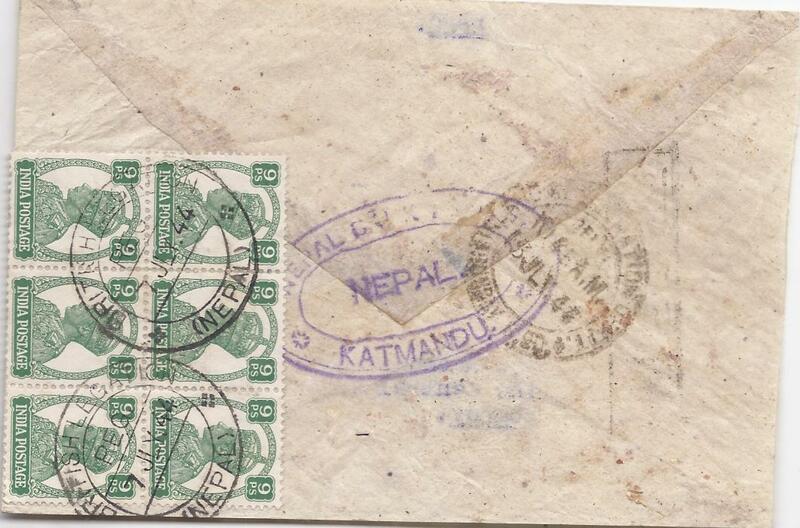 tied by "BRITISH LEGATION/(NEPAL)" date stamp. 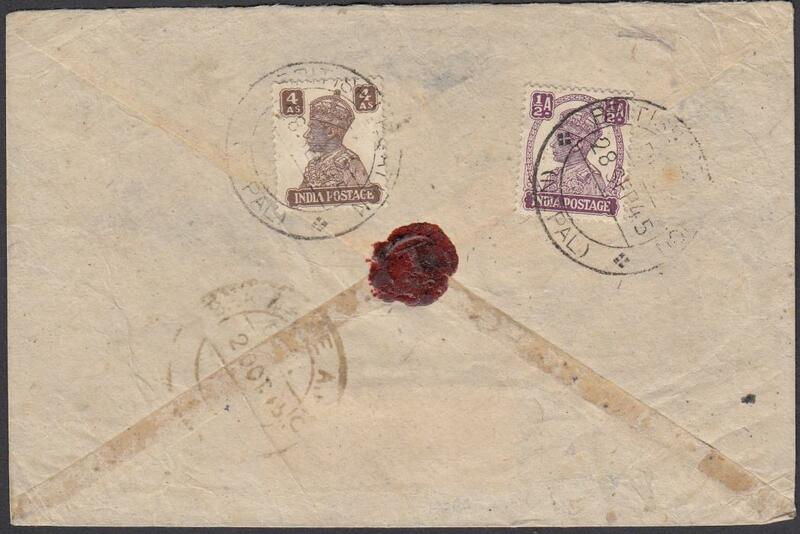 1945 registered stationery envelope uprated with two 3a., insured for Rs. 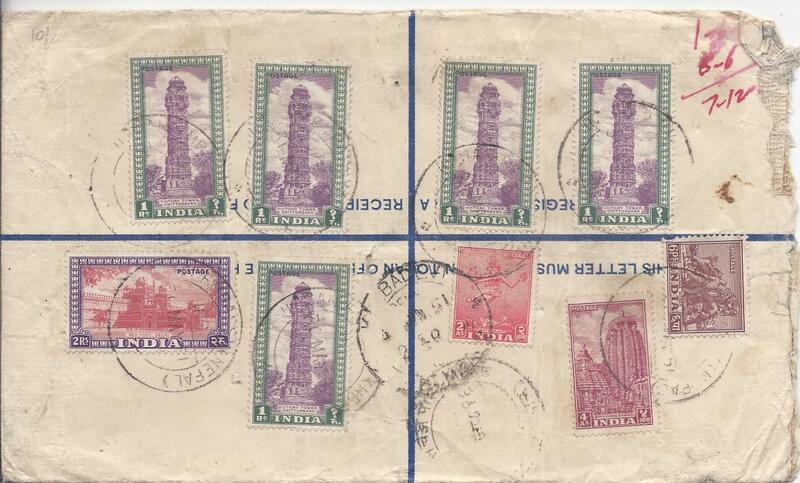 100 to Bombay, British Legation (Nepal) cds, front bearing two-line registration handstamp. 1951 6a. 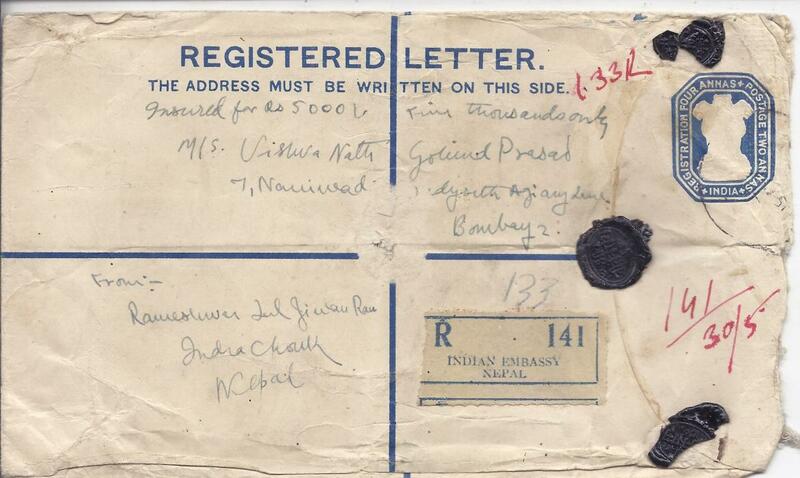 registration stationery envelope, insured cover for Rs 5000 to Bombay, bearing a multi franking on reverse at 7r. 6a. 6p. 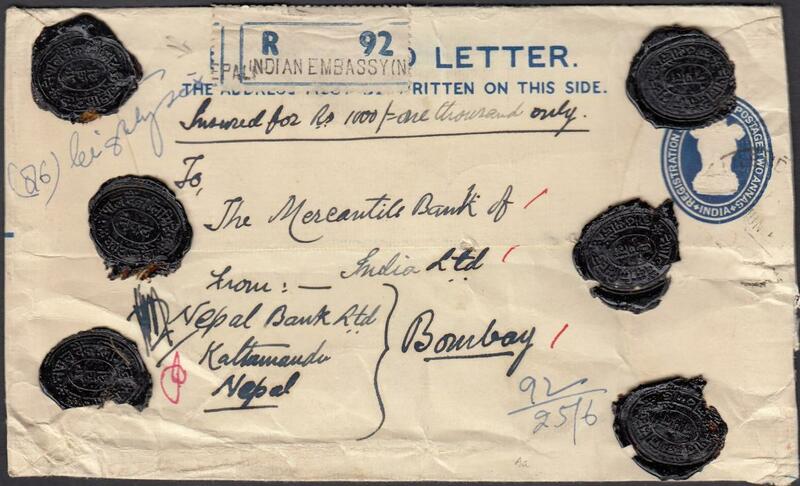 tied indistinct cds, front bearing registration label INDIAN EMBASSY NEPAL; small central filing hole, a fine franking. 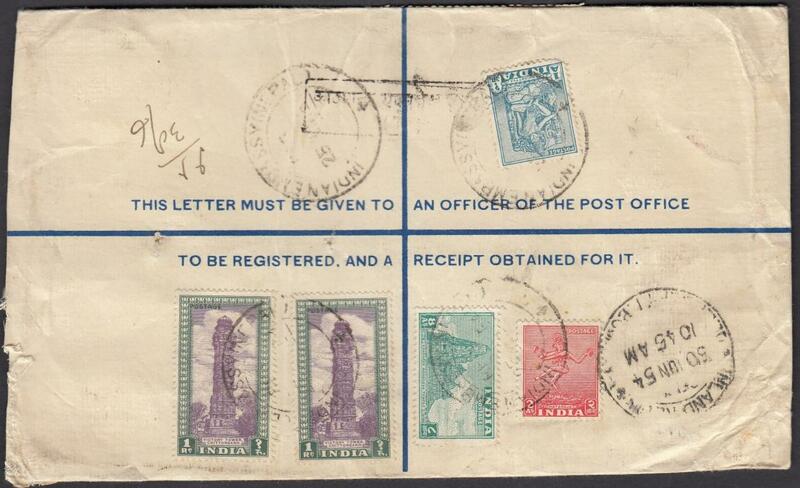 1954 registered postal stationery envelope to Bombay additionally franked on reverse with 1a., 2a., 8a. and 2 x 1r. 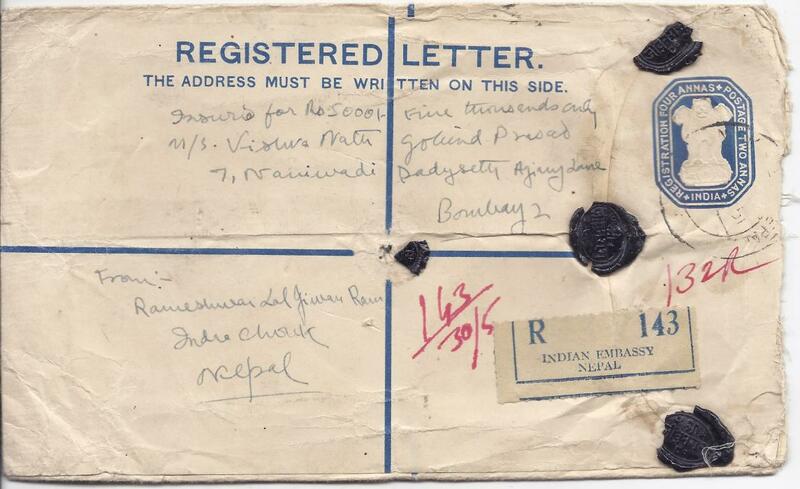 tied "INDIAN EMBASSY NEPAL" cds, handstamped registration label on front together with six wax seals.